China is known for a lot of things: for its delicious cuisine, the Great Wall, Kung Fu and martial arts, Yao Ming Jet Li and so much more. China is also the second largest country by land area at 9.6 million kilometers. It is also the most populous country with over 1.35 billon people. Due to its rich culture and continuous growth in resources, China was hailed as the world’s fastest growing major economy. This year it was also noted as the world’s second largest economy. But there is one thing you may not know – it’s also the largest dumping ground for used electronics or E-waste. E-waste or electronic waste are discarded electrical or electronic devices. The term has been used loosely to identify surplus electronics even if they are reusable, recyclable or not. 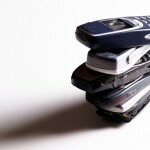 E-waste can be in the form of a communication platform such as mobile phones and wireless landlines. It can also be online platform devices like laptops, desktops, routers, tablets etc. Due to the rapid changes in technology and the ever evolving world of electronics, the growth in e-waste continues to soar, especially in developed countries. 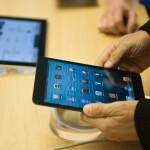 The continuous campaigns to get the newest gadgets aren’t helping this growing problem either. 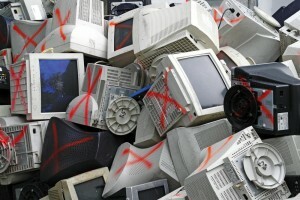 According to an article published on Sci Total Environ, about 50 million tons of e-waste is produced every year. 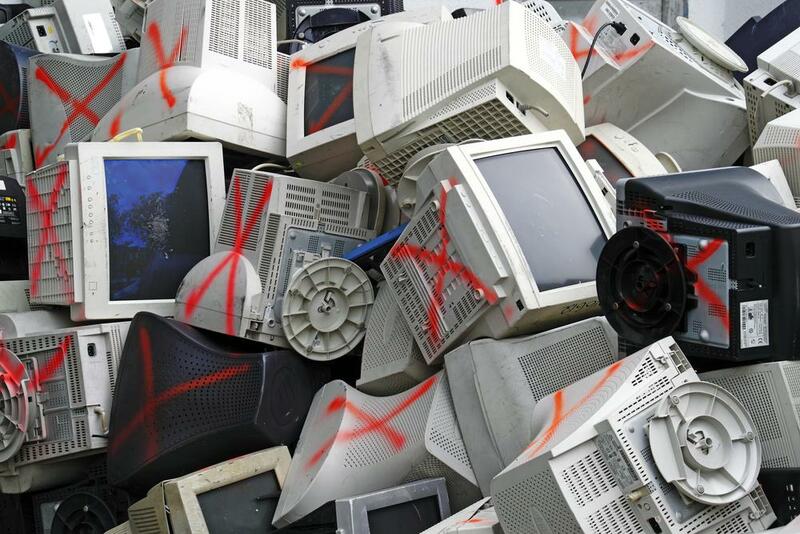 The United Nations Environment Program (UNEP) notes that USA is the world leader in e-waste production with an average of 3 million tons a year, followed by China with 2.3 million in 2010. According to a 2013 UN report, “China now appears to be the largest e-waste dumping site in the world” with 70% of all global electronic trash going to the country. Notably, these items ar rive in the country through illegal means. “Much of [the e-waste] comes through illegal channels because under United Nations conventions, there is a specific ban on electronic waste being transferred from developed countries like the United States to countries like China and Vietnam,” Beijing office of Greenpeace spokesman Ma Tianjie explained. Among these dump sites in China, the one in Guiyu may be the largest. Dubbed as the “E-waste capital of the world,” the city employs over 150,000 workers to optimise the wastes by either disassembling devices or harvest the reusable and sellable. What makes e-waste dreadful is the health risks that may affect the people, in which the children of Guiyu are exposed to everyday. 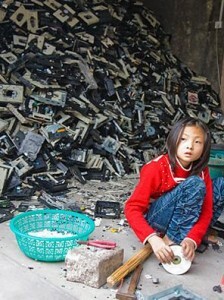 These scrap electronics are high in lead, cadmium and other toxic metals putting health at risk. So far, in a test conducted by Professor HuoXia from the Shantou University Medical College revealed that in 167 Guiyu children, 88% had higher than accepted blood lead levels that could cause damage to their nervous systems and IQ. So far, online strategy has been used to bring the news across, but even with the help of social media it could still take time before this movement is eradicated.